As the face of CNN’s celebrated "In America” franchise, Soledad O’Brien has used her platform and sound journalism to provide balanced and compassionate insight to the black experience. 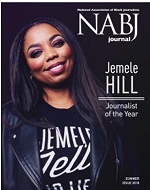 O’Brien is this year’s NABJ Journalist of the Year because of a body of work in 2010 that was extraordinary in depth, scope and significance in service to the interests of the black community. 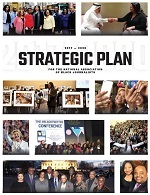 O’Brien’s most recent work, "Black in America 2,” is a four-hour documentary focusing on successful community leaders who have taken great strides to better the lives of African Americans. Later this year, she will release a third installment of the series, titled "Churched,” which explores the role of religion in the African-American community. The Harvard University graduate consistently provided coverage of New Orleans after Hurricane Katrina with her "Children of the Storm” project and "One Crime at a Time” documentary. A documentary focusing on Katrina’s five-year anniversary is slated for broadcast later this year. O’Brien’s rise to prominence began in 2003 when she joined CNN as co-anchor of its leading morning program, "American Morning.” She distinguished herself by delivering breaking news stories that included Katrina and the terrorist attacks in London. One of the few CNN anchors to travel to Thailand to cover the aftermath of the Asian tsunami, she and her team earned an Alfred I. DuPont Award for their efforts. Prior to joining CNN, O’Brien worked at NBC News as a New York-based field producer for "Nightly News” and "Today.” O’Brien went on to become an anchor for NBC’s "Weekend Today” and MSNBC’s "The Site,” an award-winning, technology-based program. Earlier, she served as a local reporter and bureau chief for KRON-TV, an NBC affiliate in San Francisco. O’Brien has received numerous awards including the 2008 Goodermote Humanitarian Award from John Hopkins Bloomberg School of Public Health, 2007 NAACP President’s Award, the 2008 Alpha Award of Honor from Alpha Phi Alpha Fraternity and the 2006 National Urban League Women of Power Award. In 2008, O’Brien became the first recipient of the Soledad O’Brien Freedom’s Voice Award from the Morehouse School of Medicine.